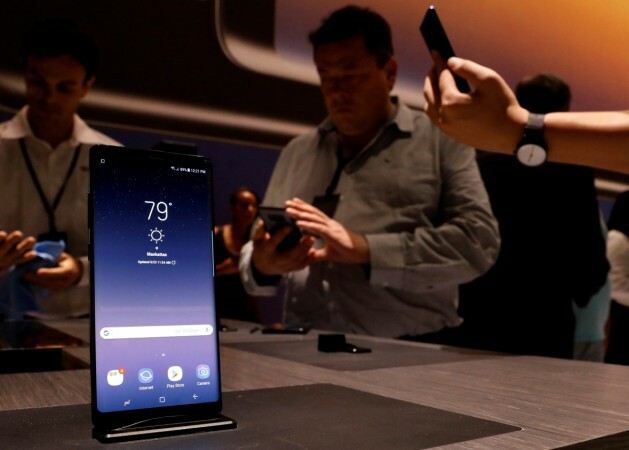 Samsung Galaxy Note 9 is expected to launch in July or August this year, but it might disappoint many by giving it's most anticipated feature a miss. Samsung was long-rumored to equip the Galaxy Note 8 with an in-display fingerprint sensor, but the world's largest smartphone manufacturer stuck to a conventional fingerprint sensor for the Note 8. Some early rumors, prior to the phone's launch, also suggested that Samsung could reserve the feature for the Galaxy S9 and the Galaxy S9+ - the company's current flagships. However, to the disappointment of many, the Galaxy S9 series was also launched with the typical fingerprint sensor, albeit with a new position below the rear camera and not next to it like on its predecessor. 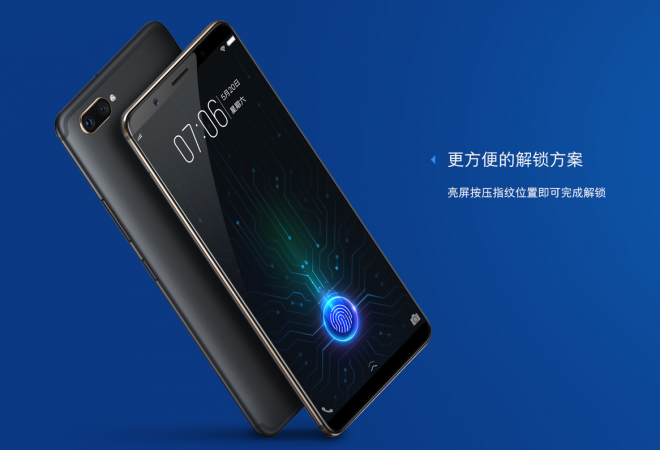 Now that there are already a couple or more smartphones with the under-display fingerprint scanners, including Vivo X20 Plus UD, the Doogee V, and Huawei P20 Porsche Design, Samsung is highly anticipated to have the fingerprint reader integrated into the display of its upcoming flagship, the Galaxy Note 9. The speculation has been an on-off affair with some reports suggesting it will and some saying that it won't. But a recent tweet by the ever-mysterious Ice Universe suggests that it is now "almost certain" that the Galaxy Note 9 will not have a fingerprint reader integrated into the display. Instead, it will have a regular fingerprint reader on the back of the phone just like the Note 8. Ice Universe has a fairly decent track record when it comes to predictions about Samsung in the past. The leakster (Ice Universe) had previously leaked the Galaxy Note 8 design and was also the first to get its hold on the first real-world photos of the Galaxy S8. However, Ice Universe hasn't specified why Samsung has or could ditch the in-display fingerprint reader on the Galaxy Note 9, especially so late in its development. The Galaxy Note9 is rumored to be announced as early as June this year. One reason could be the alleged "performance issues" that cropped up when the technology was included on the Galaxy Note 8 and Galaxy S9 during the phones' development. So, Samsung might have decided to skip it again on the Galaxy Note 9. Whatever the reason might be, but Samsung's inability to perfect the technology will be questioned, especially when relatively smaller manufacturers like Vivo and even Doogee already have smartphones with the technology on the market. Nevertheless, it also needs to be mentioned that the Vivo X21 Plus UD and Doogee V or even the Huawei P20 Pro aren't going to be as mass-produced as the Galaxy Note9 and maybe that's also one of the reasons why Samsung doesn't want to run the risk of launching a disastrous Galaxy Note9 after what happened with the Galaxy Note7. The South Korean tech giant might want to play safe with its upcoming flagship and not roll-out a half-baked technology to the public. Meanwhile, Samsung is also rumored to be working on another flagship - the Galaxy S10 - which was leaked recently. The Galaxy S10 looks to be the first Samsung smartphone that could debut the in-display fingerprint sensor technology. It also makes sense that Samsung could pull an Apple and launch the technology with the Galaxy S10 as it will be the Galaxy S series' 10th Anniversary model. In-display fingerprint reader: This is perhaps the biggest rumor about the Galaxy Note9 so far and while many sources suggest that the Galaxy Note 9 will feature the invisible fingerprint reader under its display, others including Korean New site The Investor believe, that "it is not, however, expected to feature an in-screen fingerprint sensor." Despite the contradicting reports, the in-display fingerprint sensor rumors don't seem to die down soon, suggesting the feature could still be in the air for the Galaxy Note 9. Brand new Samsung UI over Android: The Galaxy Note 9 is expected to feature "Crown UX" which could be a brand-new UI. However, it is not clear if it will be a major overhaul over the current Samsung Experience UI that sits on the Galaxy S9. Bixby 2.0 to the rescue: Like it, or hate it, but Samsung's digital assistant is here to stay. And on the Galaxy Note9 Samsung will introduce a new and improved version of Bixby called Bixby 2.0. The improvements will include a more human-sounding voice, greater availability on other smart devices and a lot more improvements to make sure Bixby doesn't lag behind Google Assistant or Amazon Alexa. Improved S-Pen: Samsung has revealed that it is looking to improve the S-Pen with the Galaxy Note9. Improved camera: The camera is one of the biggest highlights of any flagship smartphone launching these days, and it goes without saying that Samsung might come up with an improved camera setup on the Galaxy Note9. 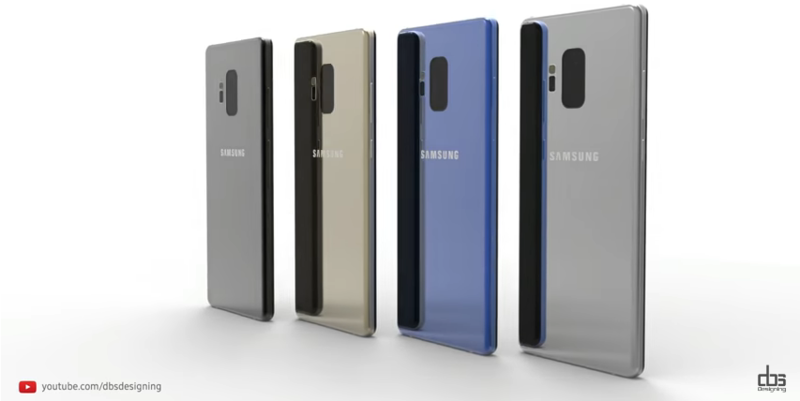 Although not much is known, it is expected that the Galaxy Note9 will feature a similar dual-lens setup like the Galaxy Note 8 and Galaxy S9 with perhaps some minor tweaks and improvements. Launch date: The Galaxy Note9 is expected to be launched as early as June this year, while a The Investor report suggests that it could debut in July or August.